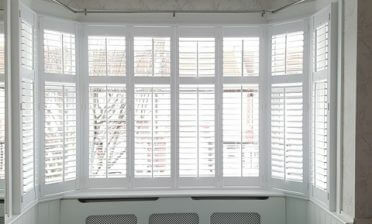 Jamie and Ben were on hand to fit these amazing shutters to a newly renovated bathroom in Tunbridge Wells. 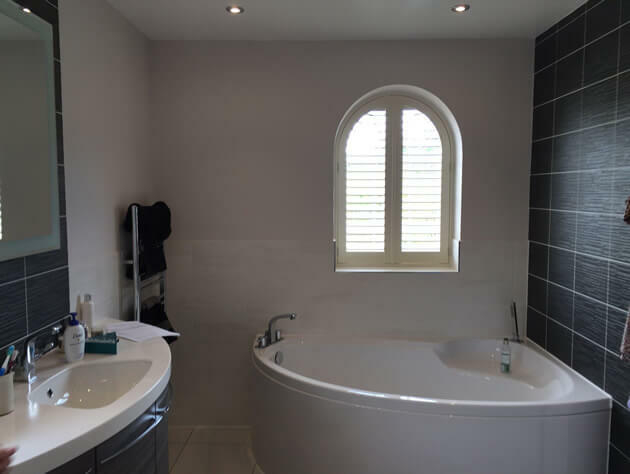 The client had one arched shaped window and a standard rectangular window on the other wall. 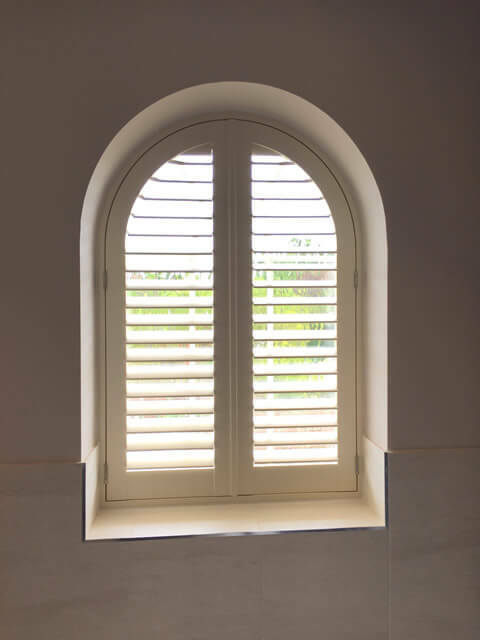 Because we bespoke create our shutters we are able to fit shutters to all different shapes and sizes of window, no matter what you may have. 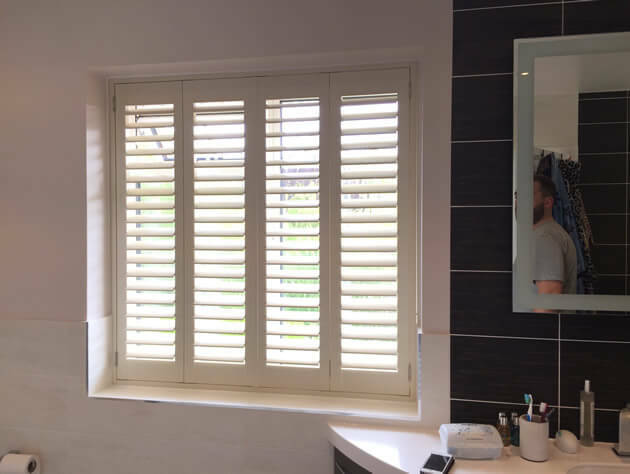 We created the shutters from our Java Range which has a hardwood inner core, covered in an ABS plastic coating for water resistance in rooms such as bathrooms and kitchens. These are the perfect solution for this job as not only are they waterproof, but easy to clean and hard wearing. 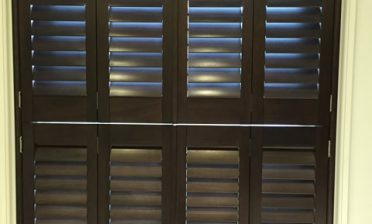 The shutters were made up of 76mm louvres with a hidden tilt rod system which creates a really clean and minimalistic look. 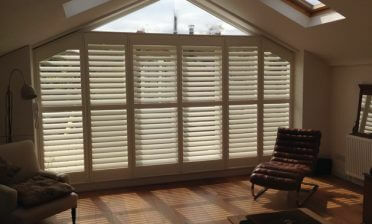 Adjusting the shutters can be achieved by simply touching one of the louvres to move them all in unison. Because they are water resistant there is also no worry about doing this from the bath! They were then finished in a lovely Silk White colour with stainless steel hinges.